In response to the advent of Industry 4.0, the government put forward the 5+2 policy to pay attention to smart machinery, and is committed to deepening intelligent automation technology. 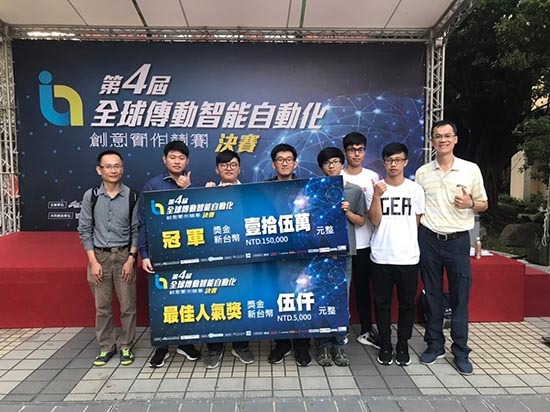 The 4th Global Drive Intelligent Automation Creative Competition, hosted by Taipei University of Science and Technology, recently held the finals. . Under the guidance of the Department of Capital Engineering, Mr. Lin Yihong and the Department of Mechanical Engineering, Mr. Su Jiaxiang, Southern Taiwan University of Science and Technology led Huang Fuqiu, Xie Weiyu, Lin Yanru and Lin Bohao to form a virtual and integrated “interactive intelligent laser processing machine” jointly developed by the “ivision” team. Defeat each participating team, win the championship and receive 150,000 yuan in prize money. 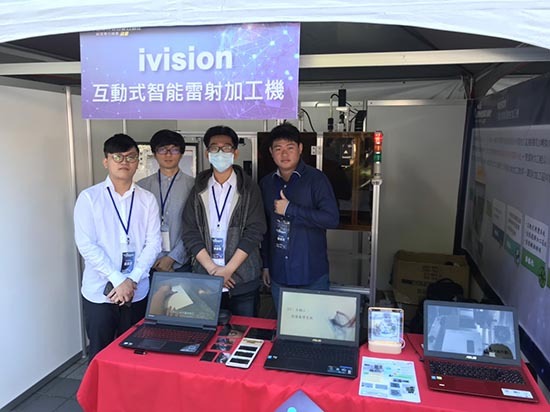 The award-winning champion "Interactive Intelligent Laser Processing Machine" is designed with the concept of fiber laser as the light source combined with the image recognition and projection system to quickly capture images and turn grayscales in a single machine. Color thunder cutting, simple operation interface and no need to repeatedly shift files, a set of programs can complete all settings, especially the image to be processed can be directly projected to the processing area, the operator directly selects the processing position, you can easily Perform color laser processing of the image at the desired location. The intelligent laser processing machine design is completely human-oriented. It allows the users who do not understand the machine tool to get the laser processing. Because of the novel concept, high innovation and high integrity of the work, it is favored by the judges. Win the championship and the best popularity award. Zhu Zhiliang, Dean of the School of Engineering of Southern Taiwan University of Science and Technology, expressed his congratulations on the awards of the students and thanked the instructors for their efforts. He pointed out that Southern Taiwan University of Science and Technology has long attached great importance to the development of students' practical skills and creativity, especially in the study of smart manufacturing. On the issue, since the 106th school year, we have opened a number of PBL courses (Problem based learning) to encourage the industry to ask for needs. Teachers have formed a cross-disciplinary team to lead students to break the professional restrictions of the department, solve problems and promote innovation. The design and development, the award-winning team is an important achievement of the school to cultivate practical senior black hand, and also hopes to cultivate students' ability to cross-field cooperation and correct industrial concept by engaging students in relevant competitions. Taiwan cultivates a competitive next generation.